I am a great admirer of his work, and I will keenly miss his forceful presence in the comics medium. My first encounter with the work of Gene Colan was in the pages of Daredevil. As was the case with many of the artists I came to admire most, I wasn’t immediately impressed. 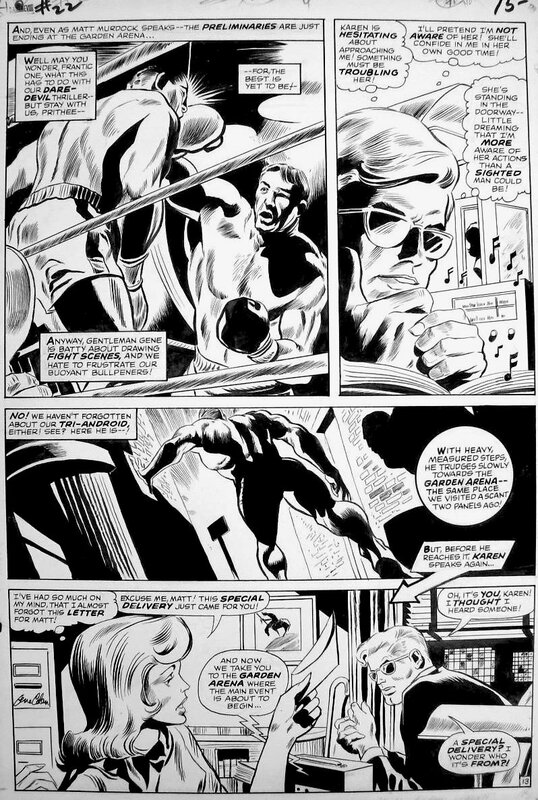 This was partly because, at the tender age of eight, I found the earthbound adventures and balletic athleticism of Daredevil somewhat less compelling than the grand cosmic adventures of The Fantastic Four and the raw mountain-smashing power of The Incredible Hulk. 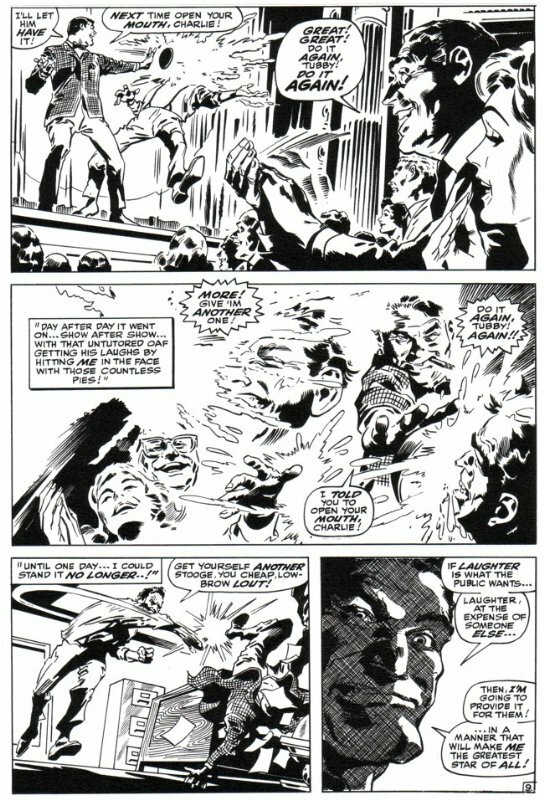 It was also partially due to the fact that, in my opinion, Gene’s style didn’t perfectly fit the open, four-color grappling of the superhero genre. 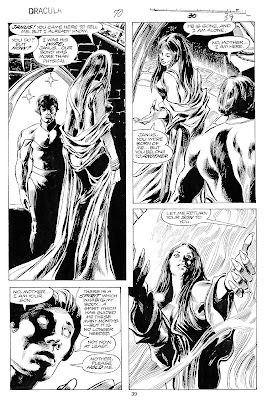 Though his storytelling and dynamic figure drawing were superb, his moody, illustrative approach would have been much more appropriate for a tough noir detective story, a bleak dystopian vision, or perhaps a certain Master of the Mystic Arts. A superb example of Gene's tonal rendering style. My full appreciation of Gene’s art didn’t gel until the seventies when the loosening of the Comics Code guidelines allowed Marvel to explore previously verboten terror tropes. 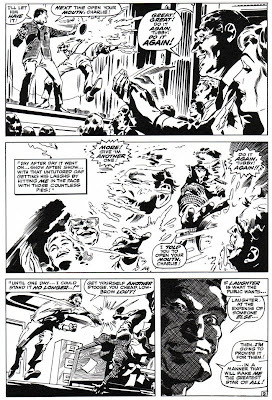 This set the stage for me to fully discover the greatness of Gene Colan. 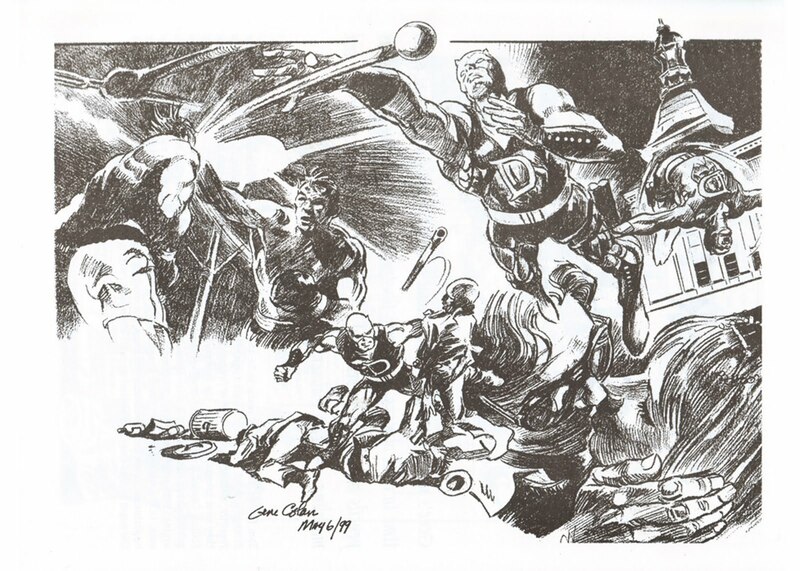 By age twelve, my tastes had shifted from the cosmic to the macabre. Having recently discovered the classic Universal monsters on late-night TV, I was hungry for more horror. 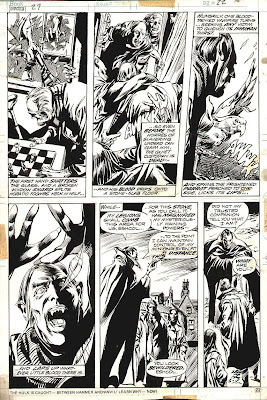 I’d already immersed myself in the DC horror books like House of Mystery, House of Secrets, and The Witching Hour, so when Marvel launched their monster line, I positively pounced on mags like The Monster of Frankenstein, Werewolf by Night, Man Thing, and, of course, The Tomb of Dracula. Gene’s shadowy, illustrative approach, so drenched in blacks, so moody and mysterious, perfectly suited the night-world of the Great Vampire and his pursuers. In a superb move, the primary inking responsibilities were handed to the astounding Tom Palmer, one of the best inkers ever to draw back the brush. 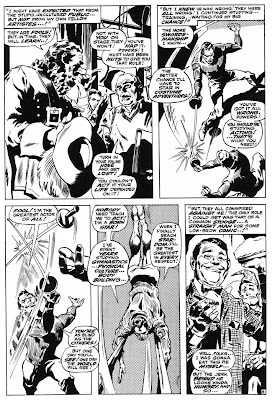 Tom seemed able to get into Gene’s head like no inker before or since. 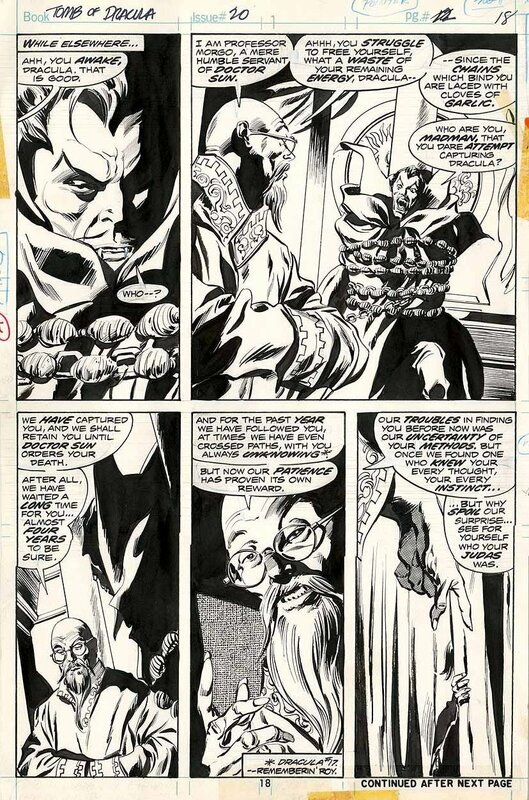 He was able to preserve the verve of Gene’s pencils, and delineate the tonal range with deep blacks, misty feathering and judicious use of Zip-a-tone dot patterns. The synergistic power of the teaming was perfect. 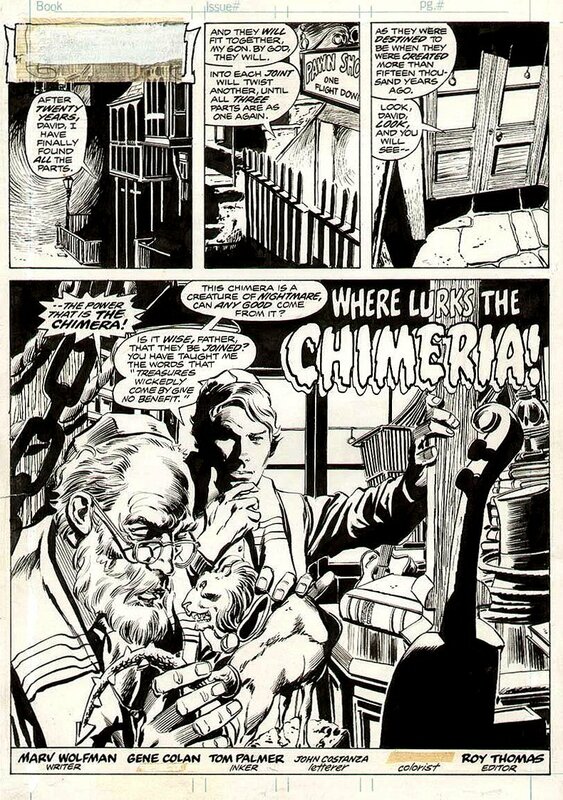 Each exciting, creepy little page seemed coated in a palpable layer of cobwebs and coffin dust. 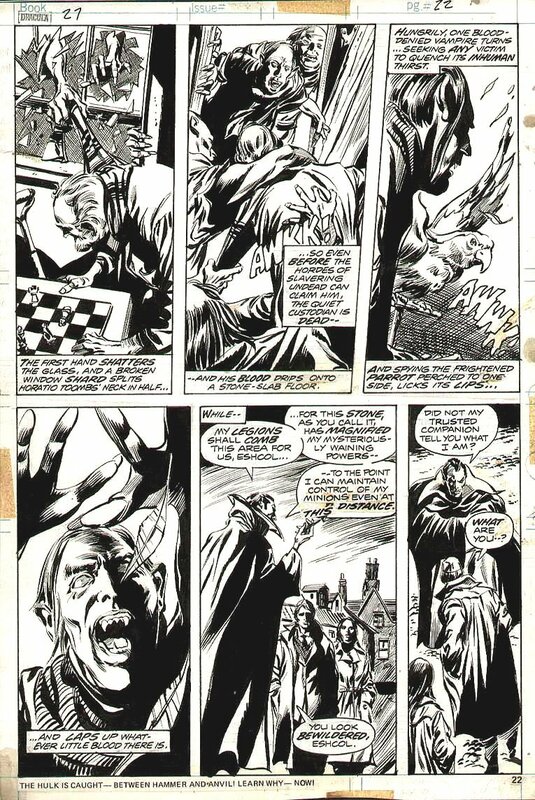 I became a life-long fan of The Tomb of Dracula, and Gene Colan. While I never knew Gene personally, his work has affected me in many ways. 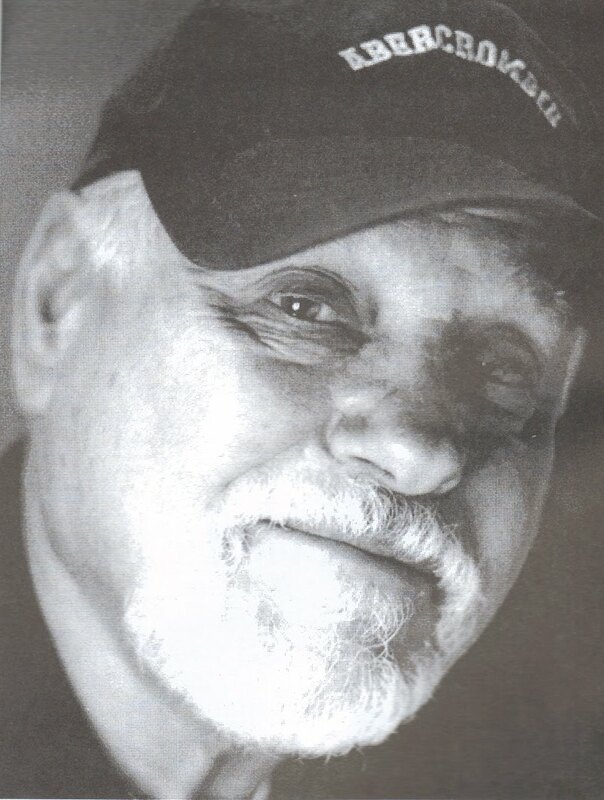 It has influenced my own drawing style, it has afforded me insight into the subtleties of visual storytelling, and most of all, has entertained me and enriched me.